There are few other ways of traveling that offer the freedom and flexibility of taking a car and setting off on a road trip, be it a day-long journey or an epic adventure that crosses entire continents. 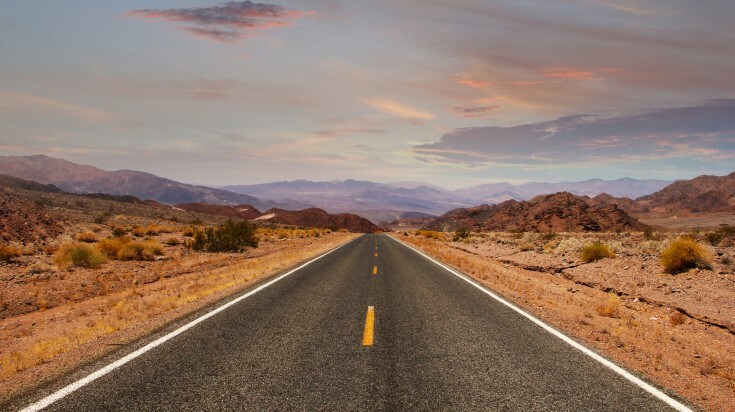 If you are looking to be inspired for your next road trip, here is our selection of the world’s best road trips; each giving you the chance to experience the exhilaration of turning the key and hitting the open road. 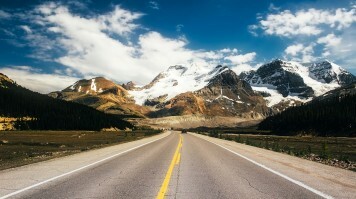 Cutting through a stretch of the Rocky Mountains in Alberta, the Icefields Parkway is widely regarded as one of Canada’s most breathtaking stretches of road and is counted among the most scenic drives in the world. This trip through rugged mountains, forested river valleys and turquoise lakes is a drive through nature at its most dramatic. Distance/duration: 232 km, around 3 hours non-stop. 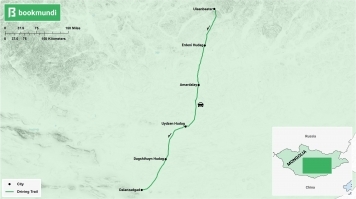 However, you’ll want to spend at least two days taking in the splendour of the natural attractions along the route. Road conditions: Most of the road is tarmacked and in good condition, especially the southern part. Expect one or two bumpy sections but nothing extreme. Watch out for the odd stray moose, elk or bear that may wander out onto the road, especially during dawn and dusk. When to go: The road is technically open year-round, but during winter (December to February), it may be closed due to snow — and most of the facilities will be closed anyway. The main driving season is between May and September. July and August offer the best weather but are also busiest while June and September have fewer crowds but can be significantly colder. 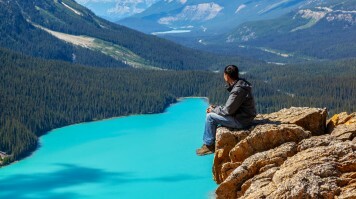 For more information, check out our best time to visit Canada guide. 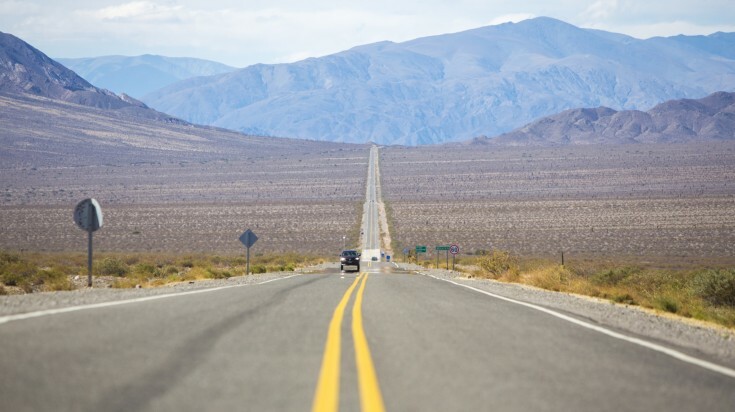 In 1986, when Life magazine named a stretch of Route 50 across the Nevada desert “the Loneliest Road in America” it wasn’t intended as a compliment — but such an intriguing moniker proved to be more of a draw than a deterrent. Now, this remote yet well-resourced road trip has become a magnet for those in search of adventure as well as an almost meditative sense of solitude. If this sounds like you, this could be one of the best American road trips. Distance/duration: 657 km. It takes anywhere from 6 hours to 3 days, considering all the side trips, but we recommend breaking up the stretch with at least one overnight stop. Road conditions: In general, the road is in good condition and is dead straight. 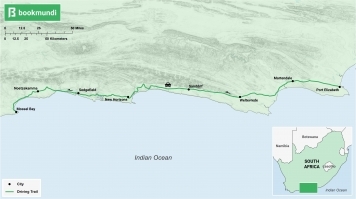 The main issue is the interminable sections with no signs of life and no opportunities to refuel. Make sure you don’t miss the chance to fill up when you can. When to go: The road is open year-round, but temperatures can fall well below freezing in December and January while July and August can be dangerously hot. For the most pleasant temperatures, aim for May, June, September or October. 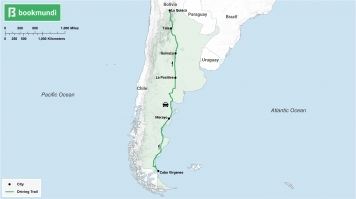 A route that guarantees high adventure on the road but will challenge your endurance to the limits is Argentina’s Ruta 40. Spanning over 5,000 km and ranging from sea level to upwards of 5,000 meters in altitude, it is quite simply one of the world’s greatest road trips. It promises innumerable sights and unforgettable experiences along the way, not to mention huge bragging rights if you manage to complete it all. Distance/duration: 5,224 km. 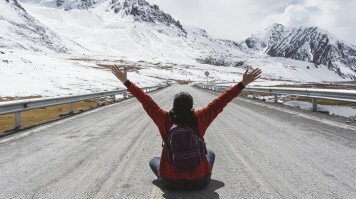 While it is possible to drive the entire length in a week and a half, giving it two weeks minimum—or preferably more—will allow you to enjoy much more. In Mendoza, taste local wine made from the Malbec grape, a variety that is now practically synonymous with Argentinian winemaking — but remember, just a small taste if you’re the one driving! Road conditions: The stretch includes sections of paved roads, dirt or gravel roads and even roads that don’t exist at all. If you want to drive the whole distance, a 4x4 with a spare tire is a must. Keep in mind that some sections are remote, so refuel whenever you have the chance. When to go: For a trip that covers such a huge distance and passes through many different climate types, it is hard to generalize about the best time to go. Perhaps the summer months between November and March are preferable since that is when it is easiest to find accommodation. Here is a full guide to the best time to visit Argentina. 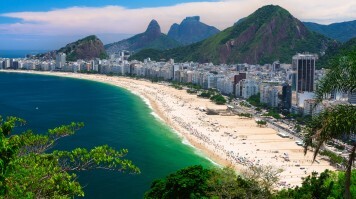 A road trip along Brazil’s Costa Verde (or Green Coast) will allow you to discover a stretch of coastline between the port of Santos to the south and Río de Janeiro to the north. It is an area that is blessed with countless paradisiac beaches, plenty of interesting small towns and dense rainforest teeming with wildlife just inland from the sea. Distance/duration: 340 km. 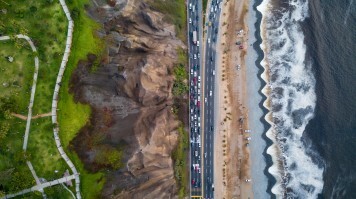 You can complete the drive in a day, but it is better to spend several days or longer stopping off at different towns, visiting the many beaches and venturing into the rainforest along the way. Road conditions: The roads are generally in good condition and the drive shouldn’t present any particular problems. When to go: The weather is best between December and March. If you want to see Río at its most flamboyant and colourful, go in February to catch the world-famous Carnival. 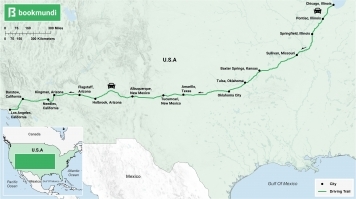 Officially decommissioned in 1985, Route 66 is perhaps the most iconic road trip of them all, although it technically doesn’t even exist anymore. However, you can still drive most of the original stretch from Illinois to California, heading through a historic part of middle America. 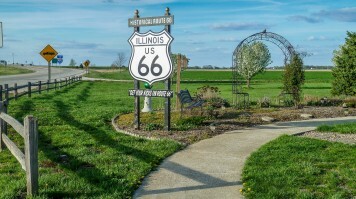 This trip is the essence of everything a road trip should be — you can still feel the almost tangible sense of history and tradition that clings to the countless mid-American towns you pass through along the way. 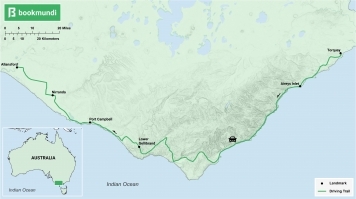 Just note that if you plan to take on this road trip, you’ll have to combine parts of the original road with the new interstate road. Distance/duration: 3,940 km. Minimum 9 days but we recommend taking up to one month, allowing you to take the time to enjoy the experience. Road conditions: Only about a fourth of the original route is still drivable, mostly on state highways and local roads. The missing sections need to be filled in on more modern roads. Distances can be vast. 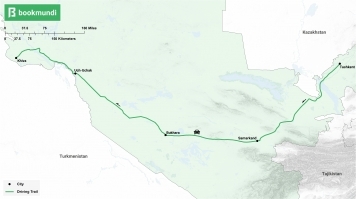 On desert sections, you may drive up to 160 km between filling stations, so make sure you have enough fuel, food and drink for these stretches. Temperatures can soar so air conditioning is a big advantage. Many of the original turns are now poorly indicated. A description of each turn is available and will be an invaluable aid. 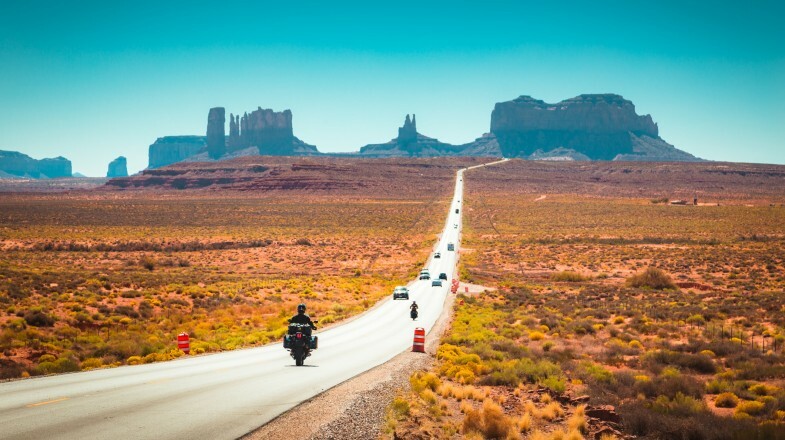 When to go: The best times to drive Route 66 are spring, early summer (late April – June) and autumn (September – early October). At these times, temperatures are neither too hot nor too cold allowing you to wind down the window and enjoy the open road. Traffic is also not too heavy. 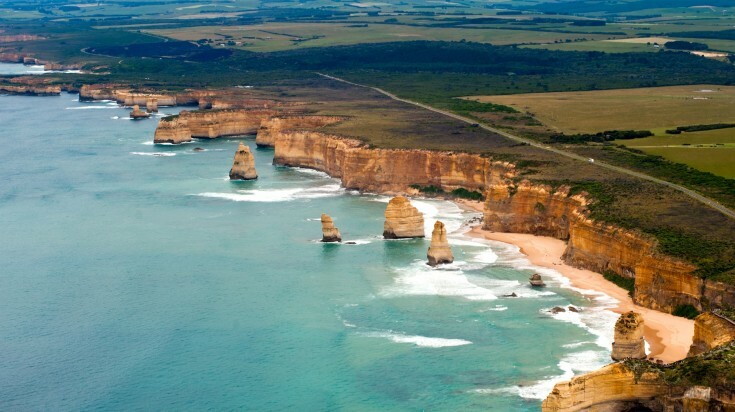 The Great Ocean Road is one of the premier destinations for an Australia road trip. It offers a diverse range of stunning scenery, strange geological formations, plenty of local wildlife and an abundance of worthwhile places to stop. Conveniently located only a few hours drive from Melbourne, it is a route that would be ideal for a family or kid-friendly road trip. Distance/duration: 243 km. It can be driven in a single day, but you could easily spend a week or two exploring the many places of interest along the way. Road conditions: The surfaces on the Great Ocean Road are all in excellent condition and driving or finding your way should present no difficulties. 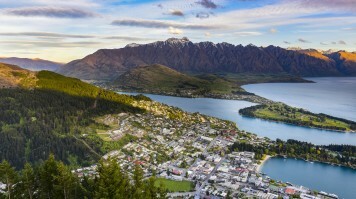 When to go: The best months for this trip are February and March or October and November. This is when you will benefit from the best combination of good weather and fewer crowds. For more information, check out our best time to visit australia post. 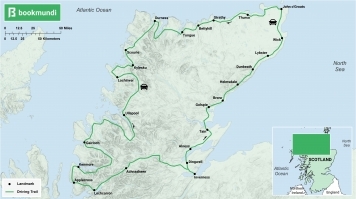 Launched in 2014, the North Coast 500, also known as the NC500, is a new entry into the canon of the world’s most spectacular must-do road trips. 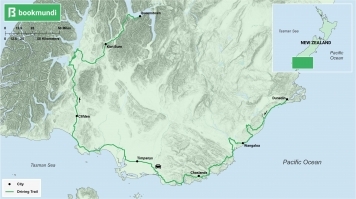 It consists of a loop that starts and finishes at Inverness and showcases all the rugged and mysterious beauty of Scotland’s northern Highlands. 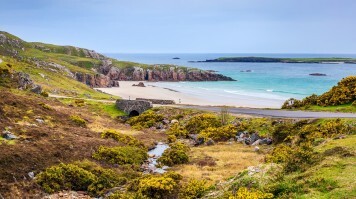 The road follows the UK’s dramatic northern coastline and takes in welcoming rural communities as well as desolate stretches where you are unlikely to come across another living soul. This drive sits comfortably among the best road trips of northern Europe. Distance/duration: 830 km. Allow around a week or more to complete the circuit at a comfortable, leisurely pace. Road conditions: The roads are generally in good condition. 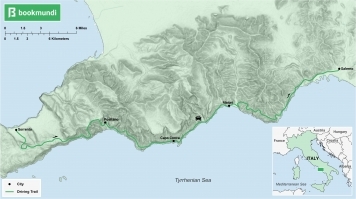 However, many of the roads are very narrow, may include blind corners or hairpin bends, often hug the coast and are occasionally invaded by livestock. You should drive carefully at all times, and larger vehicles or caravans are not advised. When to go: The best months are from May to October. This is when the weather is most likely to be good and the greatest selection of attractions, restaurants and accommodation is open. However, bear in mind that good weather is never guaranteed at any time of year! 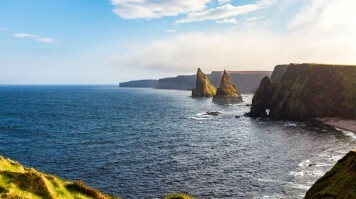 Go through our best time to visit Scotland for a better overview. For a Europe road trip, the drive from Sorrento to Salerno in Italy’s southern Campania region could well be the continent’s most attractive stretch of coast. Although now extremely popular, overpriced and often congested, this short road trip will still reward you with breathtaking Mediterranean views, quaint fishing villages and picturesque towns clinging to the craggy cliffs. 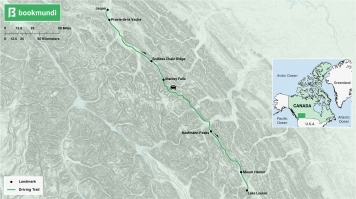 Distance/duration: 56 km. The actual drive only takes two hours, assuming there’s no traffic. 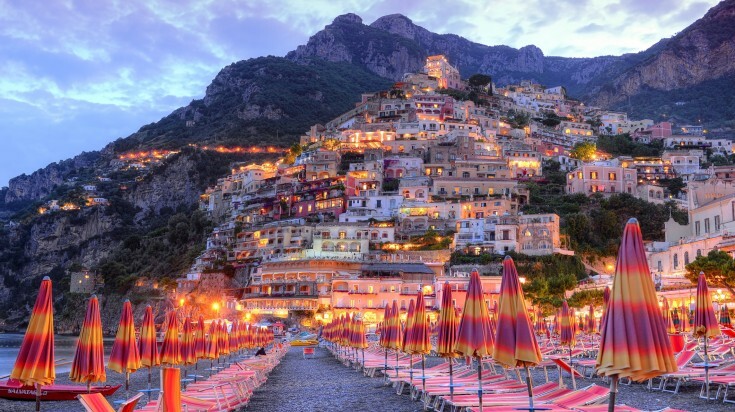 However, you’ll want to make it last at least two days, possibly with an overnight stay at the town of Amalfi. Road conditions: The roads are in good condition but are narrow and often vertiginous as they wind their way along the coast. More of a problem is traffic during high season. When to go: Try to visit between April and June or in September. At this time, the weather is at its most pleasant and you will also avoid the busiest months of July and August. For more information, here is out best time to visit Italy guide. 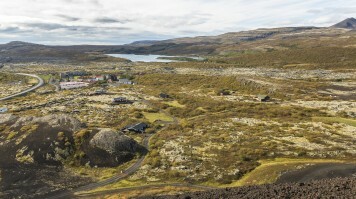 Remote and dramatic, Iceland has become a “hot” tourist destination in recent years, and a road trip along its Ring Road, a road that circumnavigates the country, is the perfect way to discover this sublime volcanic island. Distance/duration: 1,332 km. It can be completed in only 12 hours of non-stop driving, but you’ll want to spend at least a week or more doing it properly with breaks along the way. 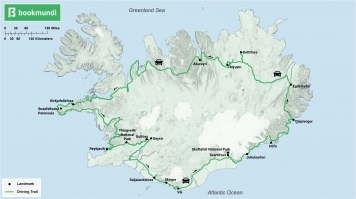 Road conditions: Roads in Iceland are generally in excellent condition, and you will be able to complete this road trip in a regular car. However, by choosing a 4x4, you will give yourself extra freedom to branch off and explore more inaccessible areas as you make your way around. When to go: July and August are the months that have the most pleasant weather and are probably the best time to go. However, they are also the most popular, and if you want to avoid the crowds, April, May, September and October are also recommended. 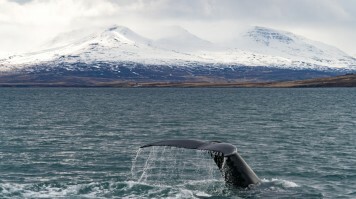 For a full guide, check out best time to visit Iceland. 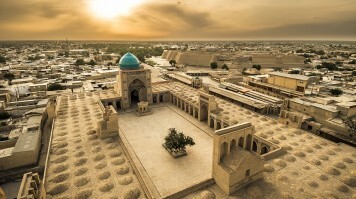 Follow in the footsteps of ancient caravans that passed along this route millennia ago while discovering some of Uzbekistan’s little-known but splendid monuments. 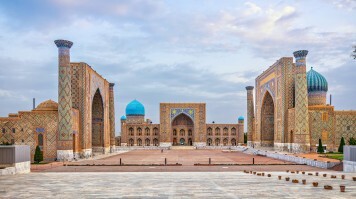 If you enjoy a challenge, driving a section of the Silk Road from Tashkent to Khiva in Uzbekistan is one of the best road trips available and could be just the kind of adventure you’re looking for. Uzbekistan has only really opened up for tourism in the last couple of years and is still an undiscovered secret. Distance/duration: 1000 km. 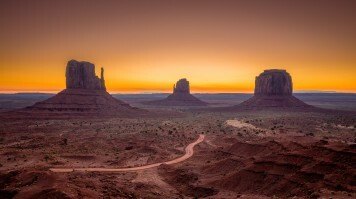 Allocate one day of driving between each town along the way, but you would need at least ten days and up to two full weeks to fully appreciate the trip and everything there is to see. Road conditions: Most of the roads are in relatively good condition, although a few sections may be potholed or bumpy. More of a problem might be fuel. The main fuel in Uzbekistan is propane, so if you are cross-country driving in your own vehicle, you might find it hard to fill up. We recommend renting vehicles in the country instead. In more isolated regions, fuel is often sold in plastic bottles by the side of the road. When to go: The best times to visit are spring and autumn (April to May and September to November respectively). This is when the weather is at its most pleasant, avoiding both the heat of the summer and the cold of winter. Few experiences can encapsulate the offbeat adventure of road-tripping through the massive sand dunes of Gobi Desert in Mongolia. Imagine bouncing in an off-road vehicle through an endless sea of golden sand as blood-red cliffs pop in and out of view in the horizon. A drive through the desert will allow you to explore a land that in many ways has changed little since the days of Genghis Khan. Yet perhaps the biggest thrill of this trip is the anticipation of finding a Mongolian village to rest in at the end of the day. Distance/duration: 586 km. Theoretically, the distance could be covered in eight hours or certainly in one day, but you should realistically plan up to a week to allow yourself to explore. Relish in the night sky! 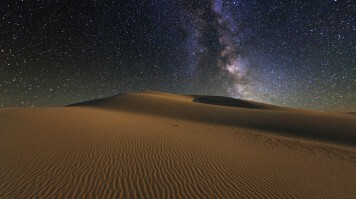 A clear night in the Gobi will allow you to enjoy a sky alive with stars from horizon to horizon. Road conditions: In the desert, roads are sometimes no more than tire tracks and signage can be non-existent; traveling in this vast empty landscape can sometimes feel more like navigation at sea than driving on a road. Opting for a 4x4 is advisable, and you are strongly recommended not to travel without a GPS. Even experienced Gobi drivers can become disorientated and becoming lost in the desert, which can quickly develop into a very serious situation. When to go: Mongolia is a country of extremes, with summer highs reaching 40° C and winter lows plummeting to below -40° C. Spring (April – May) and autumn (September – October) are the most pleasant times, although even then, the climate can be harsh. A lively alternative would be to time your visit to coincide with Nadaam (11th to 13th July of each year). If you are in the capital at that time, you will witness the country’s greatest festival where Mongols compete in the “three games of men” — archery, horse riding and wrestling. 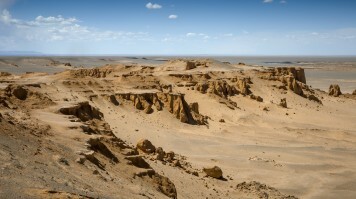 Check out our best time to visit Mongolia for a better overview. 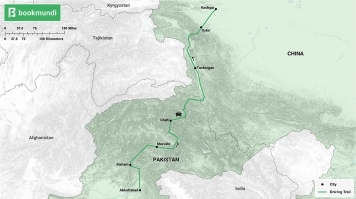 The Karakorum Highway, also known as the Friendship Highway, between Pakistan and China is possibly one of the most hair-raising road trips. One of the world’s highest paved roads, it’s certainly not for the faint-hearted or anyone who suffers from vertigo — but the views as you wind through the high mountains are nothing short of spectacular. Distance/duration: 1,300 km. Allow a minimum of two weeks, although, as ever, longer than this will allow you to take your time and enjoy the trip more fully. 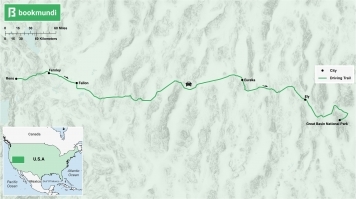 Road conditions: The road itself is in relatively good condition, but the border crossing at the Khunjerab Pass is at an altitude of over 4,800 m, almost exactly the same height as Mount Blanc in France, and is easily high enough for altitude sickness to begin setting in. Roads can also be blocked periodically by landslides. The roads have no barriers to protect cars from sheer drops of hundreds of metres and will be quite terrifying for anybody with a fear of heights. 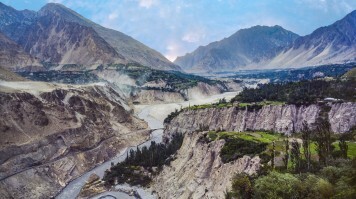 When to go: The monsoon from July to September increases the risk of landslides in the mountains while the summer months (especially July and August) can bring unbearably hot temperatures lower down. On the other hand, the highest sections may be closed from January to April due to snow. This means the best time to drive the route is May or October. One of the best ways to experience South Africa in just one trip is to drive the Garden Route. 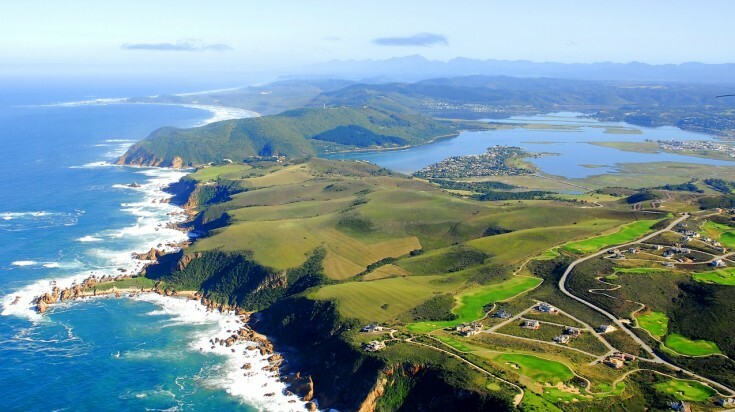 Undoubtedly one of the best coastal road trips in the world, the Garden Route features a wild variety of sceneries, topography and activities, with well-established, convenient facilities. Dotted with beaches and lagoons, the stretch also opens doors to many hiking trails and other adventures to keep you occupied throughout. Distance/duration: 366 km. Minimum would be three days, but there is enough to do and see to fill up to two weeks if you have the time. Road conditions: The roads are in good condition and can be driven in any type of car. 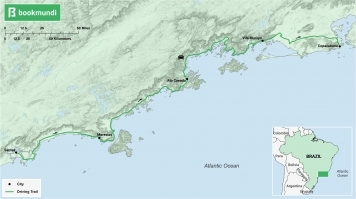 The route is well-established and there are plenty of shops, restaurants and hotels along the way. 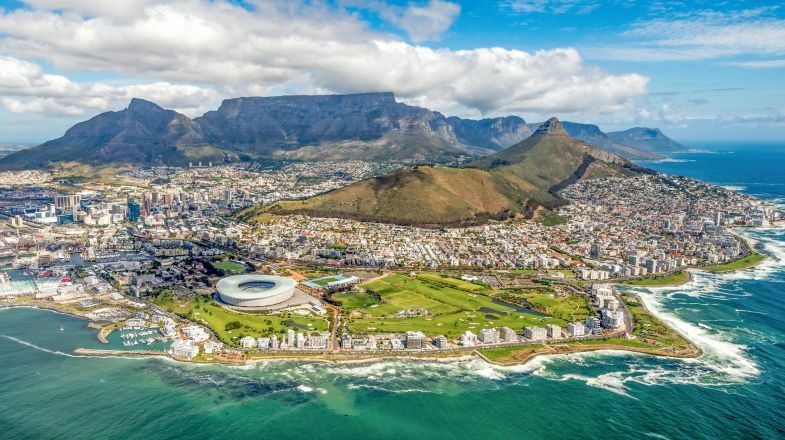 This is one of the safest parts of South Africa although you should always use the same amount of common sense you would in any other place. When to go: For the warmest weather, the best months are from November to March. However, this is also the most popular time. If you prefer to visit when it is less crowded, opt for February to April or September to October. 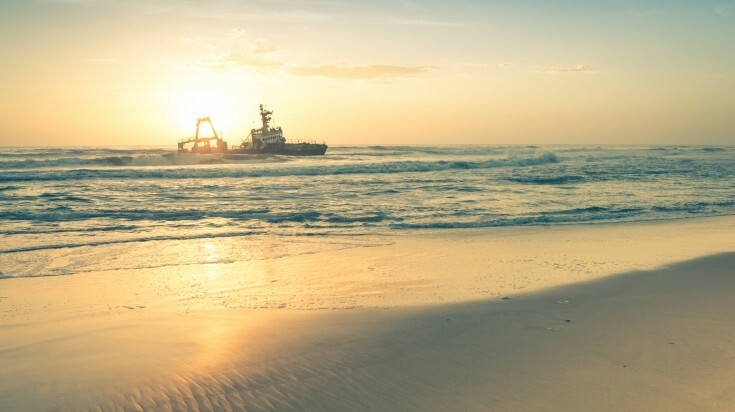 Namibia’s ominously named Skeleton Coast is a remote and brooding landscape that is enticing for its isolation and inaccessibility. This hostile stretch of coastal desert that Portuguese sailors once called “the Gates of Hell” is strewn with the carcasses of around 500 wrecked ships. Often cloaked in an eerie ocean fog, it exudes a kind of brutal attractiveness that makes it an irresistible destination for an adventurous road trip. Distance/duration: 485 km. 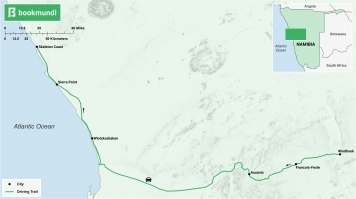 Allow at least two days to drive to Cape Cross and one day for the Skeleton Coast National Park, although a couple of extra days will let you do the trip at a more leisurely pace. Road conditions: Road conditions before the park are reasonable and should present no significant problems. However, once into the park itself, you need to make sure your vehicle is in good condition. After all, a desolate and isolated place with a name like the Skeleton Coast is not the kind of place you want to get a puncture when you have no spare wheel. When to go: The dry season (from June to October) is probably the best time to do the drive. However, from November to December is the breeding season for the seals and this is when the highest concentration of these animals is present. Here is our guide to best time to visit Namibia. 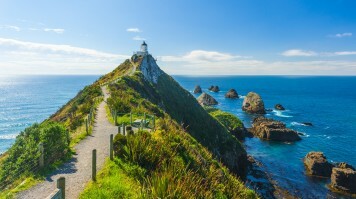 Labelled by The Sydney Morning Herald as “one of the world’s great undiscovered drives”, the Southern Scenic Route allows you to explore a charming portion of coast on New Zealand’s South Island. It is a drive of outstanding natural beauty that offers sublime rugged landscapes, unique wildlife and plenty of activities to keep you busy along the way. Distance/duration: 610 km. Allow yourself at least three to five days to complete the drive, or more if you want to take your time. Road conditions: Roads are generally in excellent condition and the route is well marked. When to go: The dry season is from June to October, and this is the best time to visit since driving conditions are at their best. This is also the best time to see wildlife if you visit any national parks. Perhaps more than any other type of travel, road trips give you the chance to branch off from the beaten track, leaving the tourist trail far behind. 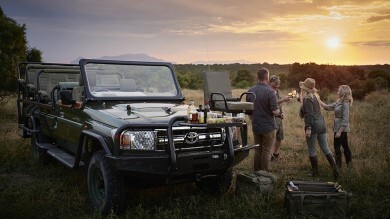 With your own vehicle, you can discover authentic places you won’t find in the guide books and meet the real people, seeing sights and living experiences that not many others are fortunate enough to enjoy. Here, we have only scratched the surface of what is possible. Out there, on the road, the possibilities are endless.